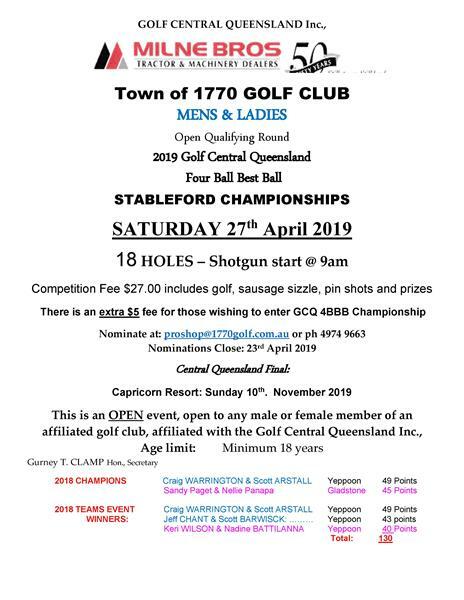 We are holding our mens and ladies CQ 4BBB qualifying round on Saturday 27th April this year. Tee off is 9am, nominate your team of 2 at proshop@1770golf.com.au or 4974 9663. Top 3 mens and ladies teams will go through to the CQ final at Rydges Capricorn on Sunday 10th November 2019.